This might come to some people as a shock….well here goes; I don’t only bake and make desserts! I know, shocking! I do cook and bake savory items too! This is sweet, yes…I know, but on some days I can only handle it with a smile for so long! Maybe tomorrow we will bake some fantastic dessert together. 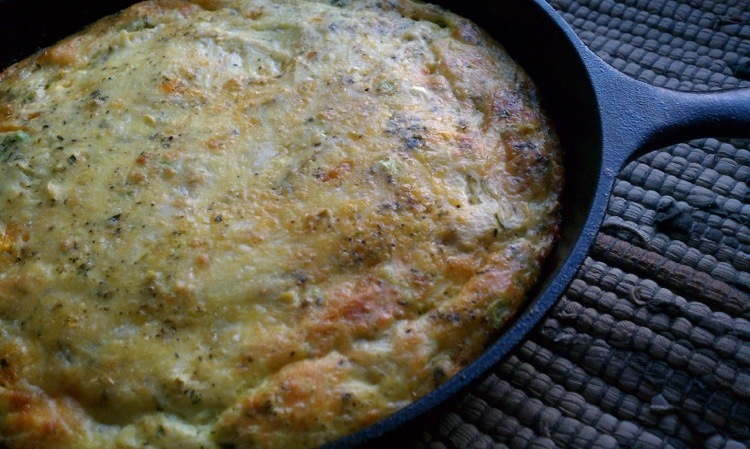 But, as for today I only have the patience to throw together this flavorful frittata! 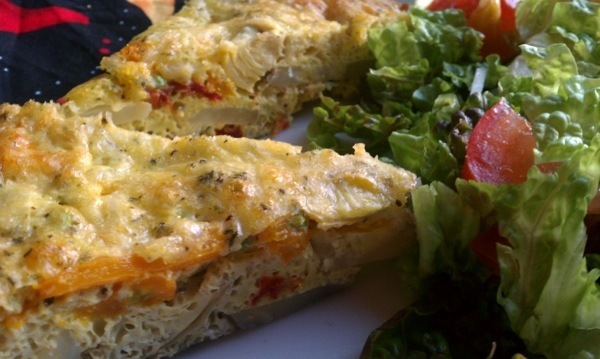 Frittata’s are so versatile, they can be as plain as you like or you can add as many ingredients as you desire. If you’re a big meat eater, add the meat! And for all the vegetarian’s out there, your choices are endless! 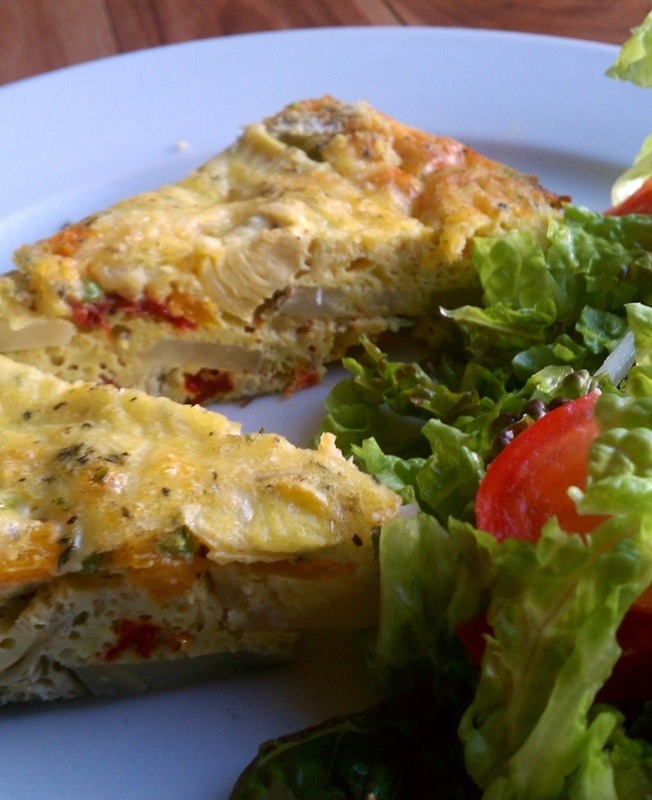 A frittata can be eaten at room temp, hot or even cold from the fridge. Serve with a salad or fresh cut fruit and you have the perfect brunch for your very special company, or even if it’s just you and your 3 year old that is demanding ketchup on his…..ahhhh good times. 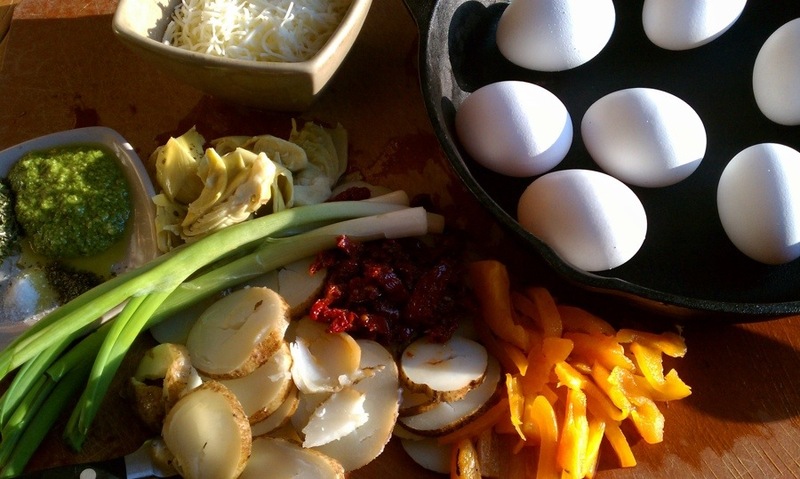 Choose your fillings….just open your fridge, you can even use leftover vegetables! The pesto gives so much flavor, so add wisely. 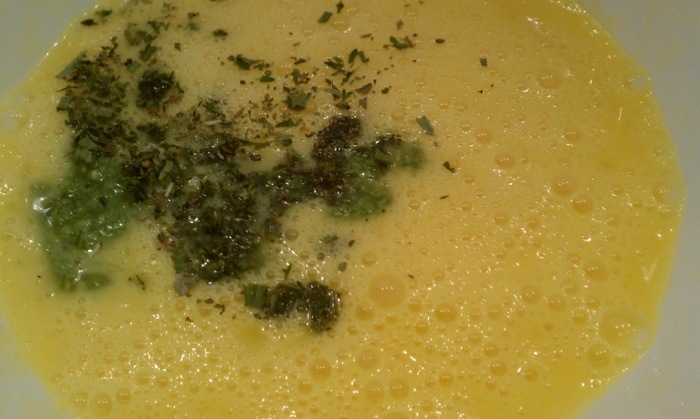 You could always serve the baked frittata with a teaspoon of pesto once served on the plate. 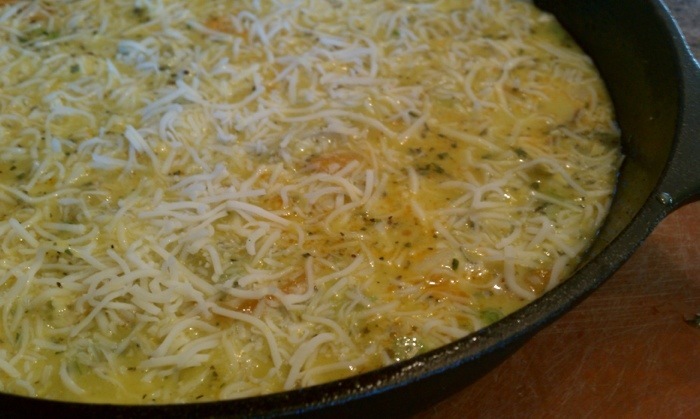 Gently layer the veggies and meat if using, sprinkle with cheese; bake. Don’t over bake, once the middle feels “soft firm” remove from the oven. There will be “carry over” baking that will take place. Serve with fresh cut greens….enjoy! Preheat oven to 350 degrees. Grease a 10 inch skillet with the olive oil, set aside. *Remember don’t over bake, there will be carry over cooking when it is removed from the oven. *Serve with a fresh garden salad or fresh cut fruit. Simple and delish! Sun Dried Tomato & Pesto Frittata was first posted on Tahnycooks.wordpress.com and first created by Tahnycooks. When you were telling me that you made this I was thinking ..focaccia bread.